The most common element behind failure is found in weak communication processes. 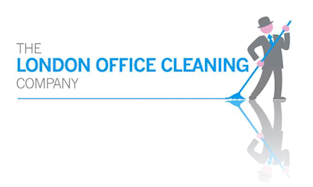 The London Office Cleaning Company has made concise, consistence communication a top priority. Our procedures ensure that the flow of all information within our organization reaches the correct individuals every time to guarantee the first-rate service standard we have achieved. We encourage all of our clients to give us open and direct feedback on every aspect of our services. We seek to meet on a regular basis to discuss our service standards on how we are “delivering the promise”. Only through honest criticism can we further improve or alter our services to suit an individuals needs. Our clients are provided with a sign in book which is used for reporting any minor issues that may arise. This direct form of communication has become a very effective system in detecting and rectifying any problems immediately. As part of our quality program, regular inspection reports are filled in by our supervisors which are then used to notify staff of areas that need immediate attention. Upon request, clients can also be issued with a copy of Inspection reports reviewed by our senior management on a weekly basis. Standard of work is monitored through the regular review of inspection records, over a contracts life span. Regular staff meetings are held to address issues and ensure that the requirements of every contract are reviewed with a frequency that guarantees client satisfaction. The London Office Cleaning Company is fully committed to the provision of the highest level of Health & Safety to its entire staff. This attitude is reflected in the procedures established and the manner in which we operate. The Provision and Maintenance of Health and Safety is the responsibility of all employees and management. The London Office Cleaning Company have kept a firm stance on the importance behind the fact that it is up to every individual to accept responsibility for the health and wellbeing of everyone in the Workplace.